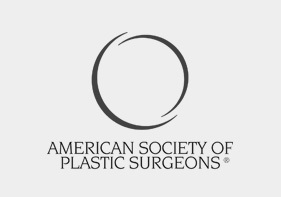 Undergoing a plastic surgery procedure is most often a choice, which is what makes selecting one plastic surgery practice over others so important. It’s also important to choose a practice that cultivates comfortable, open communication and gives you confidence in your decision. Among plastic surgeons in Columbia, MD, Dr. Eric Chang offers both professional and personal qualities that make him highly regarded. He encourages you to do your research, talk to friends, take your time, and be sure to visit his practice, Columbia Aesthetic Plastic Surgery. Recognized as a “Top Doc” and “Best Plastic Surgeon,” Dr. Chang dedicates his life to restoring beauty, restoring health. Save $50 on your consultation with Dr. Chang now, or call him at (410) 740-9330, and you’ll soon discover what makes our practice Baltimore and Columbia plastic surgery patients’ destination for revealing their inner beauty. When you first meet Dr. Eric Chang, his gentle, caring personality is sure to put you at ease. People find it both unique and refreshing to meet a plastic surgeon in the Baltimore-Washington Corridor who truly listens. Dr. Chang takes his time to tailor the most suitable procedure to the unique needs of the patient. By looking closer, his impressive credentialswill give you confidence in his abilities as well as your surgical outcome. 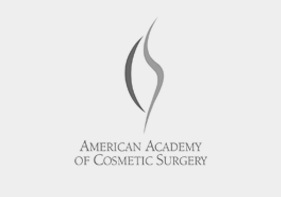 Certified by the American Board of Plastic Surgery, Dr. Chang earned his medical degree at Columbia University, one of the most highly respected United States medical institutions. He went on to complete his general surgery and plastic surgery residencies at the prestigious Stanford University Medical Center. In 2016, he was named Division Chair of the Plastic Surgery Division at Howard County General Hospital. While Dr. Chang is accomplished in facial rejuvenation, helping women and men minimize many signs of aging, he has specialized surgical expertise in breast and body procedures. Dr. Chang performs breast enhancement for women hoping to enhance their natural breasts, women wanting to restore their pre-motherhood bodies, and mastectomy patients choosing to restore their self-image. Dr. Chang is also extremely experienced in body contouring, such as liposuction and tummy tucks, for post-bariatric patients, those who have lost a lot of weight on their own, and women seeking a mommy makeover. Our clients also enjoy having access to many popular non-surgical services to improve the appearance of their skin. Part of our commitment to our patients at Columbia Aesthetic Plastic Surgery is building a relationship with our community that is based on trust. We are accredited by the Better Business Bureau (BBB) for our strong standards of ethics and for creating and maintaining trust with those we serve. This means we follow certain highly regarded protocol for advertising, transparency, privacy, responsiveness, and integrity, and we are proud to have earned this distinction. Learn more about BBB accreditation. Dr. Chang believes that all his patients deserve to look and feel their best. This is why he provides financing through Prosper™ Healthcare Lending, which offers a variety of payment plans and loan terms depending on credit. Prosper Healthcare Lending has empowered hundreds of thousands of people through healthcare financing, and Dr. Chang is a proud partner, enabling you to fit any procedure into your lifestyle. Human connection is important, especially when it comes to entrusting your appearance and well-being to a practice in the Baltimore area. At Columbia Aesthetic Plastic Surgery, we all value the connection we develop with each person we serve. 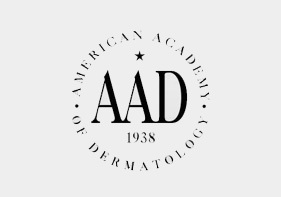 Our approachable, down-to-earth, caring staff takes the time to truly listen to the things you’d like to change about your appearance and completely address your questions and concerns. Patients often tell us they feel like valued members of our extended family. Visit us and experience the difference. Advances in Plastic Surgery. North American Taiwanese Medical Association. Potomac, MD. December 3, 2006. Advances in Breast Cancer Reconstruction. Survivors Offering Support, Frederick Memorial Hospital. Frederick, MD. November 30, 2006. Advances in Body Contouring for the Massive Weight Loss Patient. Surgical Weight Loss Support Group, Carroll County Hospital. Westminster, MD. November 29, 2006. The Use of CT Angiography in Free Flap Breast Reconstruction. Plastic Surgery Chief Resident Presentations, Stanford University. Stanford, CA. June 2005. 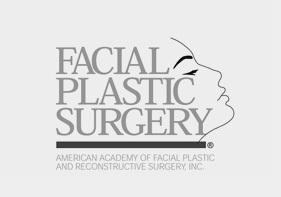 Botox, Chemical Peels, and Laser: Non-Surgical Facial Rejuvination. Plastic Surgery Grand Rounds, Stanford University. Stanford, CA. September 1, 2004. Soft Tissue Reconstruction of the Hand. Plastic Surgery Grand Rounds, Stanford University. Stanford, CA. September 24, 2003. Radial Dysplasia. Plastic Surgery Grand Rounds, Stanford University. Stanford, CA. December 2002. Stevens-Johnsons Syndrome. Plastic Surgery Grand Rounds, Stanford University. Stanford, CA. October 2001. Lymphedema – Surgical and Non-Surgical Treament. Plastic Surgery Grand Rounds, Stanford University. Stanford, CA. November 2000. NIH Summer Research Fellow, Drs. Anthony S. Fauci and Mario Ostrowski, National Institute of Allergenic and Infectious Diseases. “Study of the role of apoptosis in the killing of HIV-infected lymphocytes,” Bethesda, MD 1996. Scholl L, Chang E, Reitz B, Chang J. Sternal Osteomyelitis: Use of Vacuum-Assisted Closure Device as an Adjunct to Definitive Closure with Sternectomy and Muscle Flap Reconstruction. Journal of Cardiac Surgery. 2004. McNemar TB, Howell JW, Chang E. Management of Metacarpal Fractures. Journal of Hand Therapy. 2003. Chang E, Kahn D. Congenital Disorders of the Breast. 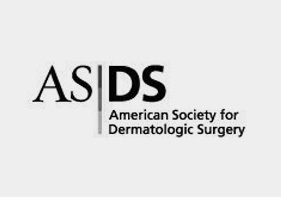 Aesthetic and Reconstructive Breast Surgery. Informa USA, 2012. Chang E, Yim K. Plastic Surgery. Surgical Subspecialties Clerkship Guide. St. Louis, Mosby, 2003.